The harsh reality of having twins on the way is knowing that we are going to have to curb our grocery spending by a bit. This is probably not too bad as we live much more extravagantly than necessary in this department. Without getting into the numbers for 2011, we spent roughly double what your average family of 2.5 would spend on groceries. Then again, we spent a considerable amount less on eating at restaurants than the average American family of 2.5. But since we're about to become the average American family of 4.0 we will need to be a bit more judicious in our spending. Expect big things from us in legumes going forward! I started this mission of savings by only purchasing one cantaloupe for tonight's dinner. The babies are the size of cantaloupes right now. 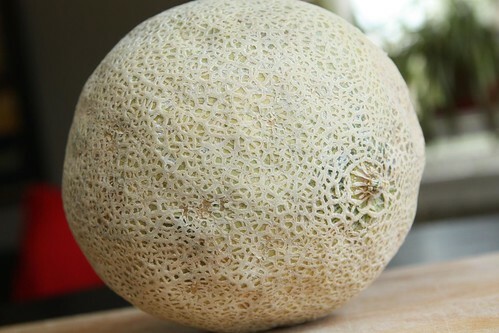 Well, the length of cantaloupes. It's a little misleading. Normally I buy two of each fruit, one for each baby, but times are going to be a little more lean. This had nothing to do with the fact that one cantaloupe is plenty large enough. This was simply a measure of savings. 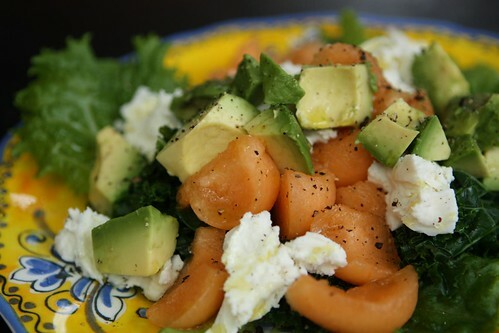 I started off by using the theme ingredient in a salad of kale, mozzarella, cantaloupe, and avocado. All I topped it with was a little olive oil, salt, and pepper. To tide us over until the main course was ready (a grueling five minutes) I put out this Asiago Fresco with some fresh bread. I got some super nice looking flounder on special today at the fishmonger hut and I pan-fried it with a little olive oil, butter, garlic, lemon, parsley, salt, and pepper. To go along with the flounder I made a strange and controversial dish: shrimp and bacon colcannon. 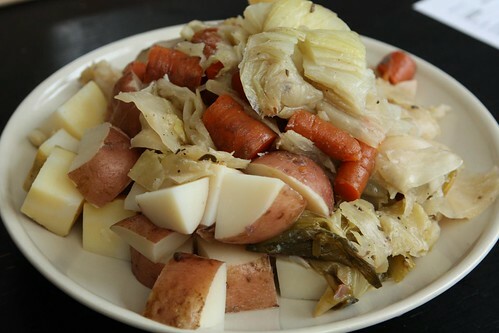 Again, in the spirit of our budget, I looked at all the leftover corned beef and cabbage ingredients in the fridge from St. Patrick's Day and decided that I had to somehow turn this into a bizarre accompaniment to the flounder. I rendered a few strips of bacon in butter and olive oil, tossed in all the chopped vegetables from our boiled dinner, mashed them up, and tossed in some chopped shrimp at the very end. The flounder was fine but I ended up really liking how the shrimp and bacon colcannon turned out. 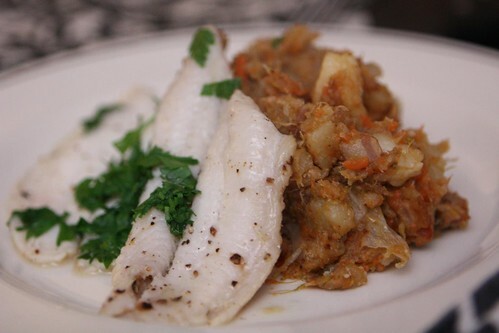 Had I even consdiered this dish while I was at the fishmonger I would have kindly told him to piss off, saved my money, and just had the colcannon dish. Hey, the customer's always right! Right? I found out about a few cantaloupe beers but they are very obscure and hard to get ahold of. Unfortunately I didn't have them in my beer cellar for tonight's meal. 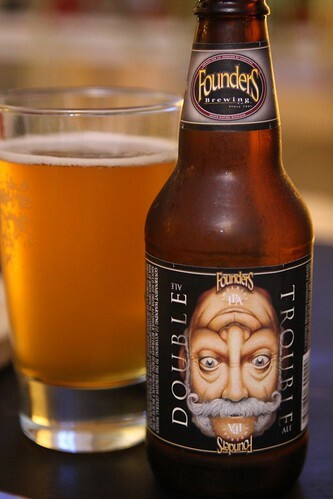 However, in keeping with the theme of our twins, I decided to have this Double Trouble from Founders Brewing Co. My hopes are that the twins, when born, do not resemble the horrific man on the label of this beer. This was a very nice beer to cut through the bacon fat and butter in the colcannon. 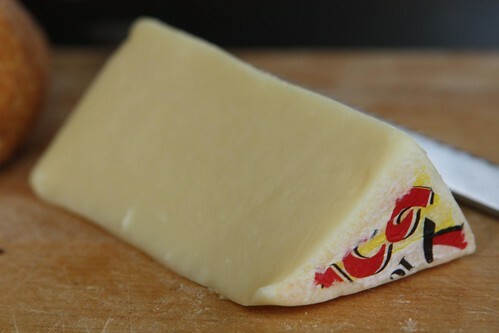 It had a wonderful grapefruit rind taste at first which turned to fresh grapefruit juice as it warmed up. And so passes week 20 of the babies' development with another meal based extremely loosely on their development fruit. Ah, development fruit. It's the most delicious fruit of them all!